Once again, our future is on the line while the Trump and Acting EPA Administrator Andrew Wheeler (an ex-coal lobbyist!) try to prop up the coal industry. This time, they’re once again trying to help their coal industry billionaire BFFs by rolling back an Obama-era rule that puts limits on carbon pollution from new coal-fired power plants. But with extremely limited time to combat the climate crisis, we can’t afford to move backwards. 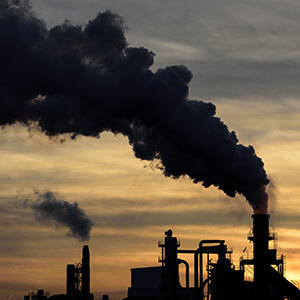 Send your message to Acting EPA Administrator Andrew Wheeler to demand no rollbacks on carbon pollution limits for coal plants. As a young American, I am extremely concerned about your plan to roll back carbon pollution limits for new built coal power plants. The U.S. National Climate Assessment and the U.N. Intergovernmental Panel on Climate Change climate report show that we have limited time to take swift action on climate change. That means we should be moving forward, not rolling back programs that are working to protect our communities. My generation will be the one left to deal with the biggest impacts of climate change. Please stand up for vulnerable communities and put a stop to this attack on climate progress.